Our DJs — MaryMonica Music & Entertainment, Inc.
Meet our Amazing Roster of Talented DJs - They will bring your party to a new level of Awesome! DJ Tim entertains our clients when he returns from serving our country in the U.S. National Guard - he is our resident A/V lead and your presentation is in great hands with Tim no matter how technically complex! When the meeting is over; though, Tim will showcase his beatmixing skills and have even the most corporate colleagues clamoring to show their moves on the dance floor! DJ Chaz has been part of the MaryMonica Music roster of talent since 2007. As a skilled DJ/MC and trained actor, Chaz is the perfect talent to work with clients with a variety of tastes and needs. His adaptability makes him perfect to DJ weddings, fundraisers, block parties, school dances and just about any other conceivable special event where music and personality are important. Chaz has an amazing passion for R&B and is our resident "DJ Libriarian" when it comes to looking for answers about music, or finding a hidden gem. DJ Chris has been with MaryMonica Music from the beginning, and his decade of pro DJ experience shows. He is our top requested wedding DJ, and has a five star yelp review record. Chris is zero cheese, an incredible beatmixer and just has a natural knack for reading the audience and creating an amazing, non-stop dance party. Even our clients who tell us " this is not a dancing crowd" - are blown away when everyone at their party is on the floor. DJ Richie speaks volumes through music - whether your music medium is Vinyl, CD or MP3 - Richie is a true pro who has mixing skills that we would put up against anyone in the biz! He has worked with MaryMonica Music for over 3 years and is amazing at what he does. Richie's demeanor is calm and in control. He lets the music talk, and we can't help but dance in response! DJ Sasha; our "Resident Russian," comes to MMM after performing on the high seas for several years aboard the Royal Caribbean Cruiseships. He is fluent in 3 languages, and his stellar beatmixing and amazing knowledge of Euro house music make him our client's first choice for Bollywood and Eastern Euro events. DJ Sasha in confident and in control of every party he starts! This is the DJ that is known to get the Doctors dancing! DJ Patrick's music career and vast knowledge of music spans 25 years. He is a highly requested MC and DJ for MaryMonica Music. 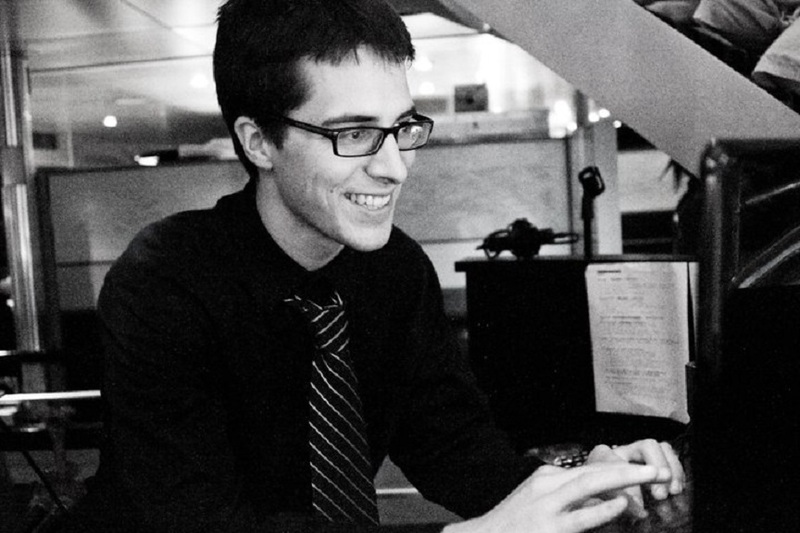 Patrick takes incredible pride in every performance, from the smallest elementary school party to our full ship charters of 500 guests or more. His smile and personality are infectious, and he is also an accomplished drummer and Dance Band leader! MMM also books his amazing band if you are interested in live music or a DJ/Live Band combo. Besides rocking parties as an interactive DJ, Matt is a movement artist. He specializes in teaching partygoers the latest dances. Our Schools LOVE him and request him year after year. Matt trained at Columbia College, Alvin Ailey, Ruth Page, Joel Hall and Winifred Haun. He has performed internationally as a stilt dancer and the statue/stilt artist manager for MMM. Matt has been entertaining on cruise ships since 2007. The right music, at the right time, to the beat. The soundtrack of your party! Playing your style, or all styles, our interactive DJ Pete takes you and your guests on an interactive entertainment journey you will never forget. Pete delivers a non-stop party from first beat to the last crowd cheering note. He sets the level and pace of your party with his powerful eye, ear, and sense for the flow of a memorable night, and will have you and your guests celebrating and partying hard on the dance floor. Pete is also a pro KJ, so if you are looking for an amazing evening of Karaoke, we have you covered! DJ Marcus - Wow this kid is AMAZING! We don't think we have ever met a more eager and upbeat young DJ! Marcus truly has a passion for what he does on the 1's and 2's..and it shows! His mixing in infectious and precise -He has thrown down hundreds of sweat-soaked school parties, the students don't want the dancing to end! From Elementary school dances to College Graduations and everything in between, you are in great hands with Marcus!